Small packages from China (and elsewhere) delivered to shoppers by the US Postal Service will become more costly for overseas sellers, helping to level a playing field that many domestic online sellers feel is skewed against them. At first blush, it looks like small US sellers will be rejoicing, since in many cases it costs them more to send a similarly sized parcel to a US buyer than it costs a Chinese seller/shipper - for packages weighing under 4.4 pounds. It could have a negative impact on eBay and Amazon, however, whose platforms are attractive to international exporters sending goods to the US; though keep in mind that eBay CEO Devin Wenig said in November that his company helps Chinese sellers warehouse goods in the United States. The change came not from the international organization that sets "terminal dues" (the UPU), but rather, from the US Postal Regulatory Commission (PRC). In November, the USPS filed a request with the PRC to change how it classifies Inbound Letter Post small packets and bulky letters, known as Inbound E format, asking permission to move it from "Market Dominant" to a "Competitive" product. Today, January 9, 2019, the PRC conditionally approved the request. 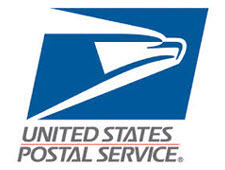 The USPS had written in its request, "Upon favorable review of this request, the Postal Service will submit a new filing to set new rates for inbound international market dominant and competitive services, subject to PRC review and approval," so don't expect an immediate change in rates. While the UPU was already making progress on making terminal dues more equitable, President Trump's August memorandum gave the issue urgency. Today's announcement doesn't change the Administration's decision last October to withdraw from the UPU. It's unclear from today's PRC ruling what the impact will be on "ePacket" rates which are negotiated between international postal services. For example, China Post and the USPS have agreed on ePacket rates that include tracking, which postal products under terminal dues do not. It's also conceivable that foreign posts such as China Post could choose to subsidize the higher costs for sellers who export to the United States. It will be interesting to see what shipping experts have to say in the coming days, but for now, US sellers have reason to believe that the shipping-cost playing field will soon become more level. Also sure to be welcoming today's news: shipping carrier UPS, which pushed for the change. PS: One other note: The USPS has greater flexibility to raise rates for products classified as competitive than those classified as market dominant. So, what's your solution? Anybody that wants to sell anything should just move to China? @CanBrit - I take my packages to the post office, have them scanned, and get a printed receipt which shows they've been input into the USPS system. Why does the PRC insist on negotiations with China but rubber stamps any request, not matter how unreasonable, to US consumers? "Anybody that wants to sell anything should just move to China?" 1) Selling on multiple platforms-eBay is not the only site and there are other sites in the USA where there are NO Chinese sellers. 2) diversify your products. The more niche or rare products that you can find, that others will not will have, will work in your favor. No one can compete against you if they don't have the same product. 3) Have your own unique product made to sell or make it yourself. I'm doing this. It's a common item that I place my personal designs on. You'd be shocked at what I pay to have it made and what I sell it for (sorry, not divulging it, not giving away the keys to the castle). Be creative. You can compete. 4) Buy high end products for the lowest price that you can find and sell high, or at least sell for what the buyer will consider to be a deal. If I had just stuck with eBay and not implemented the suggestions above I would be stuck in the mire. I saw my business grow this year for the first time in a few years by putting these practices into place. I hope that you can benefit from these suggestions. I would bet money GM will reopen their closed plants in China soon. The Chinese are the only ones who want their garbage anyway and they don't want to pay tariffs or UAW wages. As of now, their cars are just a bunch of chinese parts assembled by people with hangovers. Nothing will be "leveled", as they are now going to use zone based rates for 1st class package. Get ready to be nailed. So prices will rise domestically too, probably a safe average is going to be 50 cents or more per small parcel. So - buy domestic, but pay MORE, and we really believe they are going to charge China a minimum of $2.66 to send junk to the US? That' will be a 5000% increase. I would bet they will STILL get a better rate than domestic rates. What they should do is LOWER rates because they are doing more volume than EVER, and incoming china epackets should be at least $1.00 MORE. I'm sure the dim leadership at USPS will not do the the right thing, and nothing will be even close to "level". we will just have to pay more for imports and domestic BOTH. We are a US cross border eCommerce shipping company. We do not re-sell China Post services. We have pick and pack warehouses in China, where US customers store their goods with us and we pick and pack their consumer orders the same day. We have several shipping options to the USA, ranging from 3-6 days to 5-10 days, plus we buy from USPS at commercial prices and yes, we are more than competitive with China Post prices.